A native of Vancouver, British Columbia, Zach studied violin and viola with Nicki Stieda, and later with Andrew Dawes, esteemed first violinist of the Orford String Quartet. Zach held the Principal Viola positions at both the Vancouver Academy of Music Symphony Orchestra and the Vancouver Youth Symphony Orchestra from 2011-2015. 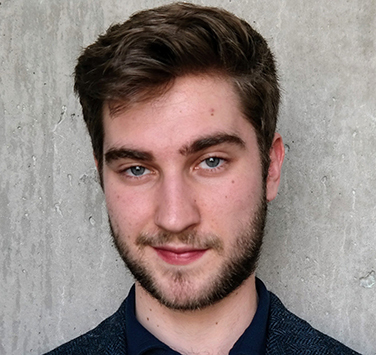 Zach began his studies at Dalhousie in 2015 with Mark Lee (violin) and Philippe Djokic (viola), and is currently studying under Leonardo Perez for his final year at Dal. He has performed as a soloist with the Dalhousie Symphony Orchestra in each year of his studies. Zach has toured across Canada and Portugal with the National Youth Orchestra of Canada since 2014, and was appointed Principal Viola in 2016. In August of 2017, Zach represented Nova Scotia in Strings at the National Music Festival Competition in Ottawa. He has performed in masterclasses for distinguished artists such as James Ehnes, Giora Schmidt, Augustin Hadelich, Barbara Barber, Paul Coletti, and Nicolo Eugelmi, as well as the Formosa String Quartet.